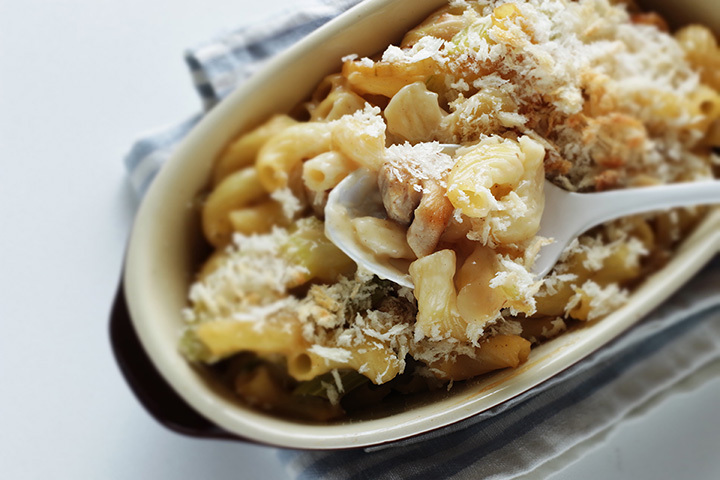 When that craving for a gooey cheesy delicious bowl of mac and cheese hits you, nothing else can satisfy the hunger! In Mississippi, you’ll find a whole new variety of mac and cheese options, as well as some top-notch takes on the classic dish. From lobster mac, to pulled pork, to shrimp, you’ll find the best mac and cheese combos at these 9 great spots in the Magnolia State. Ms. Audrey's Southern Kitchen, located in the Climb CDC building in Gulfport, is a true coastal gem. Ms. Audrey cooks soul food with love, and there's no way to fake the taste that comes as a result. The atmosphere will give you the same warm, comforting feeling that you'll get from the mac and cheese— you'll want to go back again and again! The County Seat Restaurant was designed to pay tribute to the town of Livingston and the rich history of the area. As if the addition of brie wasn't enough to make a standout mac and cheese, the County Seat sources their products locally to honor a time when that was the only way to get food. You'll love this creamy comfort staple! The Castle Restaurant is located in the carriage house of a sprawling mansion built in Natchez in the 1790s. It's the kind of upscale place where reservations are preferred and dress is business casual, so naturally you can expect the macaroni and cheese to be something special. Here, you'll find it paired with buttery-sweet lobster meat, the perfect addition to your favorite dish. If you're looking for an entree-sized mac and cheese, you're in luck at the Reef in Biloxi. The Mac Daddy Roni is loaded with shrimp and crawfish for a creamy, flavorful dish with a little bit of a kick. If the weather's nice, be sure to enjoy your meal on the deck overlooking the waters of the Gulf! 10 South is an upscale restaurant in Vicksburg with a stunning rooftop view of the Mississippi River. If mac and cheese is your fave, you're going to love 10 South. Not only do they offer the southern staple as a side, but it's also available as an appetizer. Nick's Mac Nuggets are delicious fried macaroni bites served with a spicy tomato jam. Snackbar is part of Chef John Currence's City Grocery Restaurant Group. Don't let the name fool you— Snackbar is no concession stand. For instance, if it's mac and cheese you have in mind, you'll love the Royal Red Shrimp Mac & Cheese entree. In addition to the shrimp and mornay sauce, the dish is accented by truffles and parmesan cheese. It's a true delight! Want to amp up your mac and cheese a little? Try the Santa Cruz Grill in Ocean Springs. Their “Smoked Mac N Chezzzz” includes four different cheeses, plus the addition of either pulled pork or smoked ham. Once it's all blended together, the whole dish is slow smoked for a unique taste you won't be able to get enough of! The Cotton Alley Cafe's mac and cheese is so good, they've made it an appetizer. It's served perfectly hot to make the most of the generous amounts of cheese. This sweet little restaurant has been a mainstay of the Natchez community for years, and the two-level restaurant is proud to offer gourmet food at reasonable prices anyone can afford. Poppa's Fish House is a down-home Southern-style buffet that is second to none. It's the kind of place where families have been eating for years, but you'll feel like a regular the first time you go. The mac and cheese pairs perfectly with heaping piles of fried catfish and chicken. You're going to want to finish it off with one of their homemade desserts.